If you’ve been in a coffee shop, you’ve probably seen biscotti. They’re those hard, half-moon shaped cookies that many people dunk in coffee. You’ll pay about a dollar for one, which doesn’t seem extravagant. But they’re even cheaper to make at home. And darned easy. This recipe makes about $40 worth of biscotti, if you bought them at a coffee shop. While I haven’t added up the cost of the ingredients, I’d be surprised if it totaled more than a few dollars, and you could cut costs even more by eliminating the nuts. 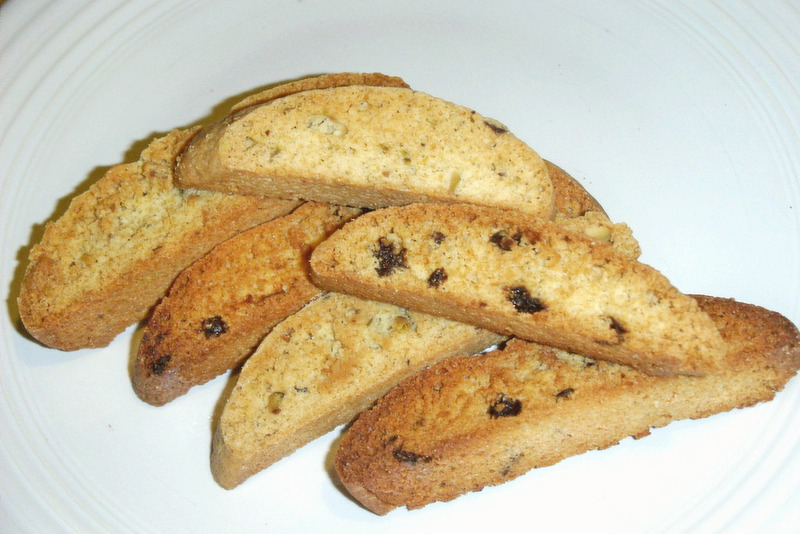 Biscotti means "twice baked" in Italian, and that’s what gives them their unique texture. And it’s why some of them are teeth-shatteringly hard. This recipe, however, yields a cookie that’s a little less damaging on the teeth, so you can eat them without the need for pre-soaking in coffee, if that’s what you prefer. Preheat your oven to 375 degrees. Grease a large cookie sheet or line it with parchment paper or a silicone mat. In another bowl, cream the butter and sugar together. Add eggs, one at a time, and beat well. Stir in extract and nuts. Add dry ingredients, and blend thoroughly. 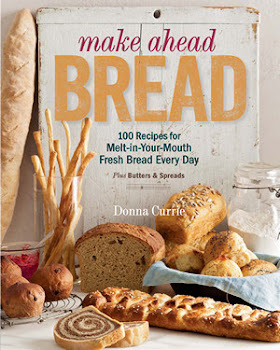 Cut the loaves on the diagonal into 1-inch diagonal slices. A serrated knife works best for this task. If they are too hot, they’ll crumble when you try to slice them, so let them cool a bit more. Lay these slices on their sides on the cookie sheet and return them to the oven for another 10 – 15 minutes, until they are lightly toasted. Cool them on racks. Since these cookies are so dry, they store well. Even better, the recipe is easily adaptable to suit your taste. You can use any type of nuts you like, and if you don’t like nuts, leave them out and use vanilla extract instead of almond. Anise flavoring is common in biscotti, so you can use that instead. Add lemon oil and zest for a citrus-flavored treat. Dried fruits are also a tasty addition, with nuts or on their own. For a fancier treat, melt some chocolate (or white chocolate), and dip one end of the biscotti. Sprinkle on some colored sugars or holiday cookie decorations if you’d like. Or, just leave them plain, and enjoy the fact that for a few dollars and a little time, you’ve saved yourself enough money for an actual lunch or two.